Traditional Designs Sewn with Unique Inspiration! 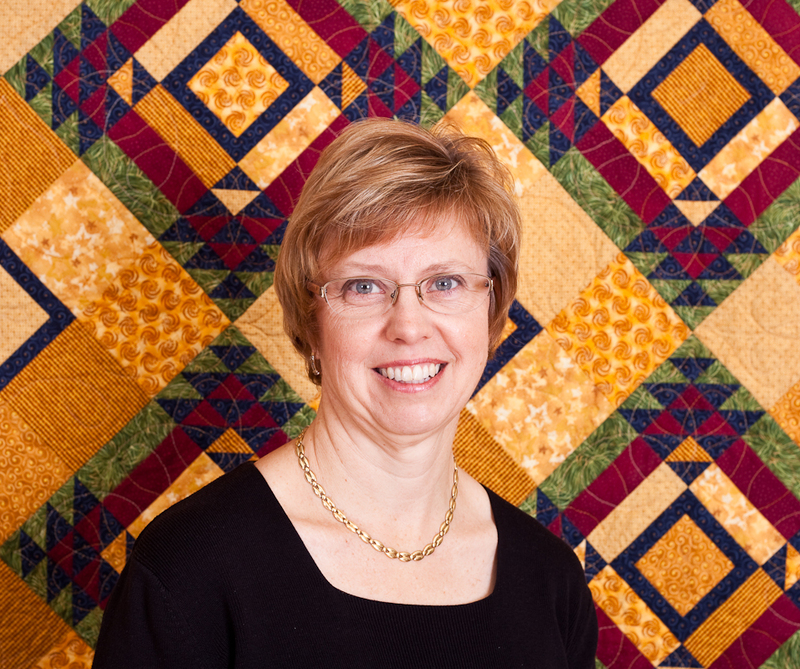 I discovered my passion for quilting just after my first son was born in 1999. Quilting became a way to relax and provided a productive outlet for my creativity. In September of 2008, both boys started school full time and I began using my new found free time to figure out a way to share my passion and designs with fellow quilters! Follow the journey of each new quilt I design and then take your own journey with the pattern. During these past 19 years, my quilts have been exhibited across the country with Hoffman Challenge travelling collections, at AQS shows and at Quilts, Inc. shows. 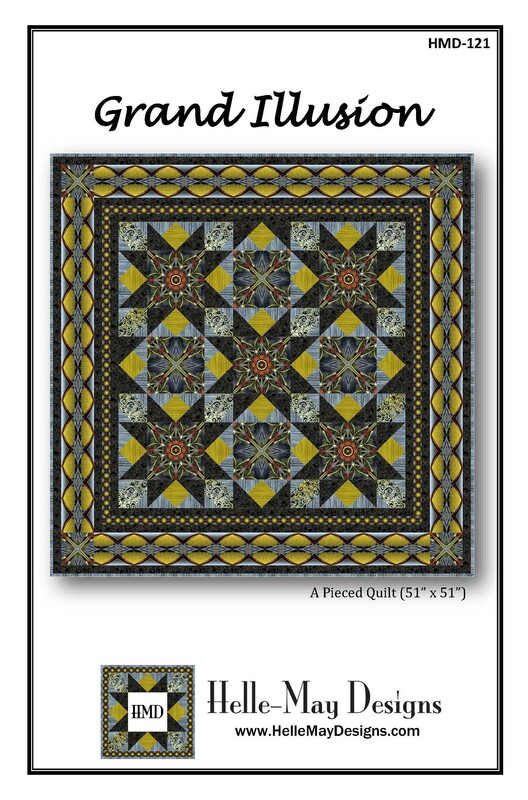 I have also been fortunate to have had my quilts published in magazines you may have read: American Quilter Magazine, Quilters Newsletter, Quilt It for Christmas, and Quilter’s Home. Maybe you have already seen my work?! The quilt in the background is Treasure Chest. start me on my great adventure! Katia Hoffman has a new fabric collection with Windham Fabrics shipping to stores in June 2019! I was very excited to be asked to have some fun with these beautiful fabrics and create some new quilt projects. 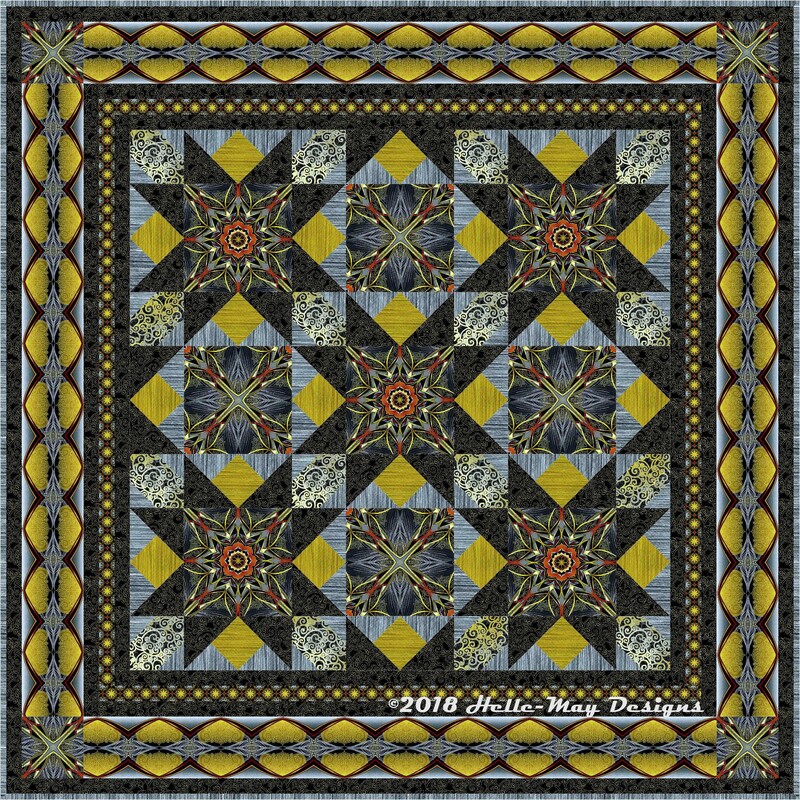 Truth be told - Katia loved the title and the quilt I created for her last collection "Mystique" that she named the new collection after my quilt pattern - "Grand Illusion". Have a look at the Project Book below to get a preview of the fabric collection as well as my projects. I am working on all of the patterns now to have them ready when the fabrics arrive in stores! Stay tuned! 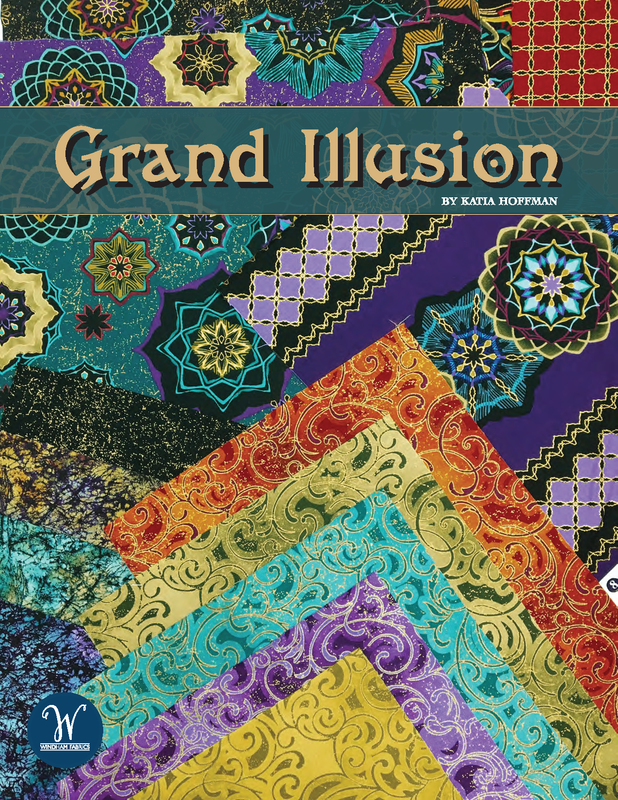 My "Grand Illusion" pattern is now shipping to a store near you! Don't forget to Follow Helle-May Designs on Facebook! You will find more pictures of this quilt as well as other projects I have made from this great new line of fabric.